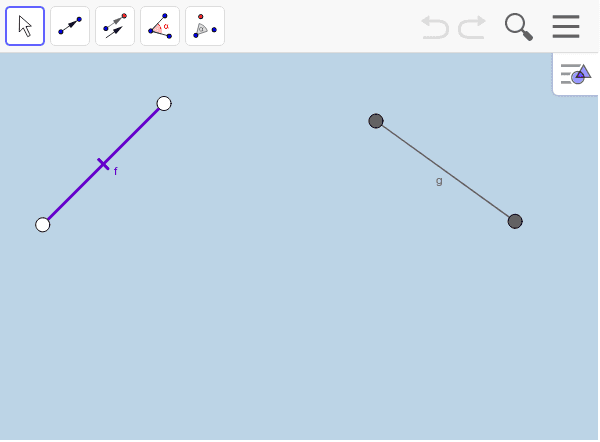 In the applet below, you can construct vectors and angles as well as translate and rotate (the toolbar is located along the top of the applet.) Use the transformational tools available to prove that segment f IS CONGRUENT TO segment g. When you are done, respond to the prompts below. Respond in your daily notebook.